Neuroblastomas are tumors of primitive cells of the peripheral sympathetic nervous system. They arise in childhood with 90 percent of all cases diagnosed before the age of 5 years. A majority of neuroblastoma patients have metastatic disease at the time of initial diagnosis, and these more aggressive tumors are responsible for up to 15 percent of childhood cancer-related deaths. 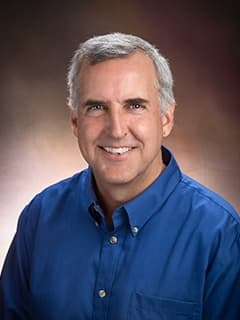 Michael D. Hogarty, MD, and researchers at the Center for Childhood Cancer Research used a combination of next generation sequencing strategies to identify the acquired genetic alterations across a large number of pediatric neuroblastomas, including tumor-derived cell lines. This led to the identification of recurrent mutations in the chromatin-remodeling genes ARID1A and ARID1B — neither of which had previously been known to be associated with this tumor. Members of the ARID1 gene family are integral components of the SWI/SNF neural progenitor chromatin-remodeling BAF complex that is required for normal neural stem cell development. It is believed that these mutations prevent the normal maturation process of these cells leading to their aggressive behavior. Consistent with this, patients whose tumors harbored ARID1A or ARID1B mutations progressed very early in treatment and proved rapidly lethal. Studies are currently underway to identify the molecular mechanisms by which ARID1A and ARID1B mutations disrupt normal BAF-complex signaling. These studies will help to better define the contributions of disrupted chromatin-remodeling and epigenetic states on neuroblastoma tumorigenesis and disease progression.